In these days, outside is dark and freezing on my way to the college in the morning. I don’t like winter really but I like the sky which especially can be seen in winter’s early morning. These are my favourite pictures that I took recently when I was walking along the river in Maynooth. I like this lovely sky reflected in the water. Also, the campus’s atmosphere has changed a bit from last month. The red creeping ivy on the wall has disappeared, and the campus has changed more winter-ish. Sometimes there can be seen the beautiful light frost on the lawn of the campus. 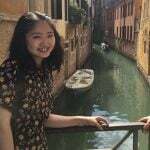 For the second article of my blog, I’d like to share about traditional Irish foods that I’ve been exploring since I came here. My host mother sometimes makes it for Sunday’s brunch. Also, I often go there on weekend. I’ve never had such a huge breakfast before, so I was surprised when I had it for the first time. Also, one more thing surprised me is black and white puddings served as part of a traditional breakfast. The difference between them is that the black one is usually made with pig’s blood while the white one doesn’t include any blood in it. White puddings are kind of savoury oatmeal sausages. It really doesn’t taste like blood, and you must like oatmeal texture. No full Irish breakfast would be complete without a slice of each. Anyway, it’s offered almost everywhere all over Ireland, so when visiting Ireland don’t miss out on a big breakfast. It’s definitely worth a try! This is what pops into most people’s heads when they think of traditional Irish food. Traditionally made with lamb, potatoes, vegetables such as onions and carrots, and cooked slowly for a few hours. Unfortunately, I’ve only ever tried Irish stew once, but I love it. The reason why is that its taste is very similar to traditional Japanese food called nikujaga. Nikujaga is often served at dinner time in Japan. The ingredients and how to cook it are similar to Irish stew. Surprisingly, it’s not only looks like but also the taste is almost the same. Irish stew reminds me of my home dinner. Since I came to Ireland, I’ve drunk a cup of tea almost every day. The Irish are known for being the greatest tea drinkers in the world, as they consume on average about 4-6 cups of tea per day. While there are many variants of tea served in Ireland, the two biggest and best-known tea brands are Barrys and Lyons. I had an interesting experience from when I was participating in a tea society at Maynooth University. Some students were talking about which they preferred, Barrys Tea or Lyons tea. Most of them say “Barry’s tea is the best.” I find it interesting that there’s a debate between two tea brands among the Irish. 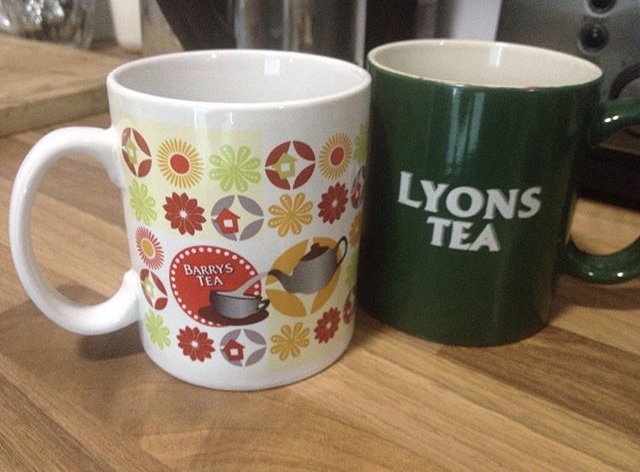 I can’t say which one I prefer though as I’ve never tried Lyons tea. If you study abroad in Ireland, I would definitely recommend trying hearty and delicious Irish traditional foods.